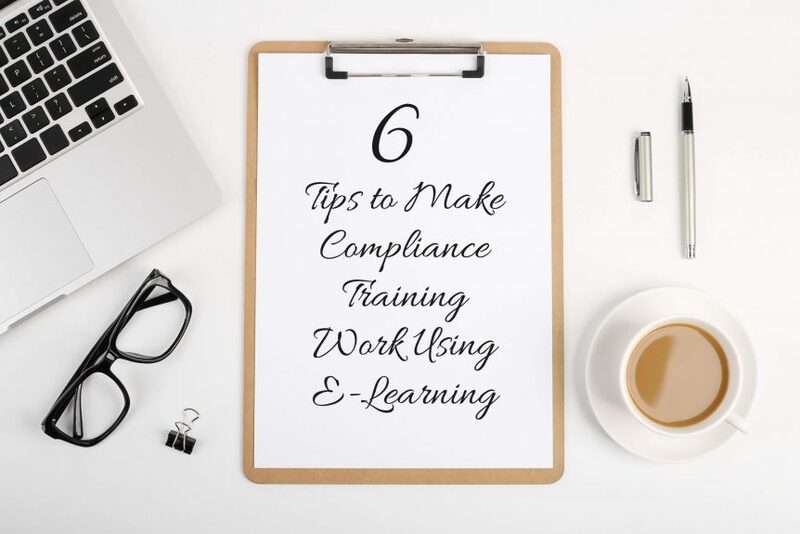 Compliance training is a legal necessity, but it is also important for the smooth running, competitiveness, and profitability of your business. It’s therefore important that your compliance training works. How can you achieve this, particularly in relation to delivering compliance training with e-learning? There is lots of advice already on the internet about how to make your compliance training fun and engaging. This includes using multiple different media elements, adding gamification elements, and encouraging social interactions between learners. In this post, however, we’re going to focus more on the nitty-gritty of making compliance training work, i.e. ensuring your compliance training changes workplace behaviours. Many companies get compliance training wrong from the start. Instead of approaching the creation of training content from the perspective of the learner, they focus instead on what the company needs to communicate. The points below will expand on this further, but the overall message is that you should approach compliance training from the perspective of the people who will be doing it, i.e. the learners. The regulations and procedures in your company that ensure it remains compliant may need legal language, but training is about people. For most, legal language can be confusing, hard to follow, and hard to understand. It’s a chore to read and digest, and leaves many learners feeling frustrated. Therefore, you should keep the legal language in your compliance training e-learning courses to a minimum. As above, formal language can also put your training beyond the reach of some people. Formal language also makes it more difficult, stressful, and time-consuming for learners to complete your e-learning course as they must first decipher language they don’t normally use before they can even begin getting a grasp of the content. So, accepting the caveat above that some legal phrases or words might be needed, you should, where possible, use everyday language in your compliance training e-learning courses. When developing compliance training, don’t deal in abstracts or theory. Instead, use examples to explain concepts, ideas, rules, and procedures. This is much easier for learners to understand, and they will come to that understanding quicker. Taking this a stage further, the closer you can make the examples in your e-learning courses match the day-to-day realities of the learner, the better. You want learners to be able to imagine themselves in the situation rather than them thinking the content has nothing to do with them. Achieving this can be very easy with e-learning, particularly if you take a modular approach to developing content. Compliance in your organisation is only as good as the weakest link. So, if one employee fails to follow procedures or breaks a rule, the whole organisation can be tainted. With e-learning, you can minimise this, particularly in relation to employees who get things wrong because they don’t fully understand what is expected of them. You can do this using tests, quizzes, and scenarios as educational devices where you help employees understand their knowledge gaps and weaknesses. You can then recommend further action they should take to improve areas where they are weak. This is known as personalised learning. Unlike standard training, personalised learning is non-linear. In other words, you use things like the results of tests, or the decisions learners make in scenario elements, to create a customised learning path. This could involve, for example, the learner repeating some modules again, or it could mean them going through break-away content that is not part of the main e-learning course but goes into a specific topic area in more depth. Microlearning involves presenting information to learners in well-structured, bitesize chunks. Each chunk is usually designed to be completed within several minutes. Plus, each chunk focuses on a single idea or concept. Microlearning is a well-established training technique, plus it makes compliance training less daunting. It also gives learners greater control over where, when, and how they complete the training, and it encourages proactive learning. When thinking about compliance training, it’s important to remember that developing a training course is not the objective. Simply training people in compliance-related topics is not enough, whether they are compliance topics that affect all companies and employers, or they are compliance topics that are specific to your industry. Instead of your objective being the development of a course, your objective should be to achieve real behavioural change in the organisation. The above tips will help with this.